A1 Rubber is lessening the impact on the environment, reducing landfill and producing more economically responsible products. Using their state-of-the-art manufacturing equipment, A1 Rubber uses stripped rubber from old tyres to form Australian made rubber products. A1 Rubbers recycling initiative forms part of their business commitment to reduce reuse and recycle rubber products. Their Brisbane based head office and manufacturing facility is equipped with leading-edge technology, which ensures that all processing is to the highest standards. The result is a remarkable level of quality control and product consistency. A1 Rubber operates as a wholesale manufacturer and through their experienced distributor network offer expert advice on the right type of rubber flooring for each application, including adhesives, finishing requirements and all on site installation technicalities. A1 Rubber converts over 7500 tonnes of recycled tyre rubber into innovative products each year. A1 Rubber is proud to be an Australian manufacturer competing internationally in recycled rubber product development, innovation and distribution. 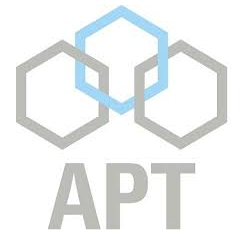 APT is a leading global manufacturer of polyurethane-based materials and synthetic turf products and the largest manufacturer of synthetic turf in Australia. With two ISO-certified manufacturing facilities and four global sales offices the APT Group services the needs of the construction industry worldwide. APT manufacture a range of attractive landscape turf products and there is an APT high performance surfacing system for every sport, from professional to Olympic-level: field hockey, soccer, football, tennis, and running/track & field events. Installing outdoor sports surfaces demands specific expertise, a high level of precision and experience. 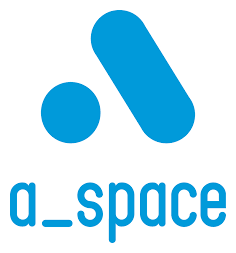 APT can accommodate specific conditions to ensure that its clients’ systems have excellent performance characteristics over the entire surface. APT brands include Ligaturf and Poligras synthetic turf, Spurtan track surfaces and Omnicourt tennis court surfaces. Founded in 1995 and more than 10,000 playgrounds later, A-Play has established a reputation for meticulously planned play environments featuring our high quality Australian-made and designed playground and outdoor fitness equipment. A-Play playground modules are designed by experienced physical educators and exercise physiologists to encourage children to explore and grow in fun environments. A-Play believes that playground equipment does all this while offering appropriate challenges with safety at the core. Play is serious business to children and is recognised as a right of every child, with this in mind, A-Play design play equipment that allows children to use their creativity while developing their imagination and physical and emotional strength. A-Play is committed to sustainable environmental practices in all materials, manufacturing and business practices. Hanson is one of Australia’s leading suppliers of heavy building materials to the construction industry. They produce aggregates, including crushed rock, sand, gravel, crusher dust and road base and a high quality premixed concrete range. Hanson is part of the HeidelbergCement group, which employs 57,000 people across five continents. HeidelbergCement is a global leader in aggregates and has leading positions in cement, concrete and heavy building products. Imagination Play is a supplier of children’s indoor playground equipment, outdoor playground equipment and outdoor fitness equipment for councils, schools, parks, kindergartens and commercial industries. They match innovative designs with high quality products at competitive prices. Imagination Play understands that children need to experience certain types of activity for brain and body development. Imagination Play designers use modern technology and materials to create environments for children to exercise their growing bodies and imaginations. Imagination Play playgrounds combine solid construction, superior materials, and quality craftsmanship. They use the best materials, state-of-the-art technologies, and regularly test for both strength and durability. Imagination Play is a member of the International Association of Amusement Parks and Attractions (IAAPA) and they strictly follow International Play Equipment Manufacturers Association (IPEMA) and Australian Standard guidelines. Receive professionally designed sports equipment that is innovative and unique. As well as providing the best quality sporting equipment, Play Hard can also custom make products to suit all your needs, and engineer certified where necessary. our product range. Reach us by calling 1300 854 518. Urban Turf Solutions specialise in artificial turf, taking pride in being the innovators when it comes to the research, development and manufacture of synthetic grass surfaces. Their experienced team have worked with landscape designers to create the most real to life artificial grass available and they source the best raw materials from around the world to create their turf, ensuring quality and durability. Urban Turf Solutions is proudly Australian owned and their synthetic grass surfaces are made at their state of the art factory in Queensland. 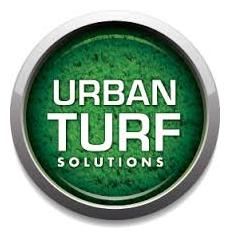 Urban Turf Solutions control the whole production process, from initial concept to production, distribution and installation, ensuring the highest quality standards are maintained. While some turf suppliers in Australia offer cheap imported surfaces, you can be assured with Urban Turf Solutions you will receive a top class locally made surface designed for your specific environment.